For a quarter century, the nation’s largest for-profit thrift store chain rebuffed state officials’ assertions that it was required to report the income collected on behalf of partner charities in Washington, where its headquarters are located. Documents obtained by InvestigateWest through the Washington Open Public Records Act reveal that state officials here repeatedly cajoled Savers, Inc., a privately held company that advertises with the slogan, “Good Deeds. Great Deals,” to register under a state law requiring transparency by commercial fundraisers. Following the launch of an investigation by the Minnesota attorney general and yet another letter from Washington state officials, Savers registered late last year, providing contracts with its local partners and obligating itself to — for the first time — share with shoppers and donors the actual proportion of revenue that its stores provide to charities. Here’s how it unfolded, plus the missing number that means state officials and donors may still need to probe further if they want to know the real score. Washington appears to have no record of Savers’ responding to the first five contacts from state officials, from August 1987 to September 1997, according to records provided to InvestigateWest under the Washington Open Public Records Act. State officials repeatedly said Savers was required to register as a commercial fundraiser or “commercial co-venturer,” either of which would oblige it to spell out how much it receives in donations on behalf of charities, and how much of that revenue actually goes to the charities. Savers never provided the information. And yet the company never got in trouble. A December 1997 letter from the Washington Secretary of State’s office did get Savers’ attention. The letter said Savers might be in violation of state law for failing to register register with the state. 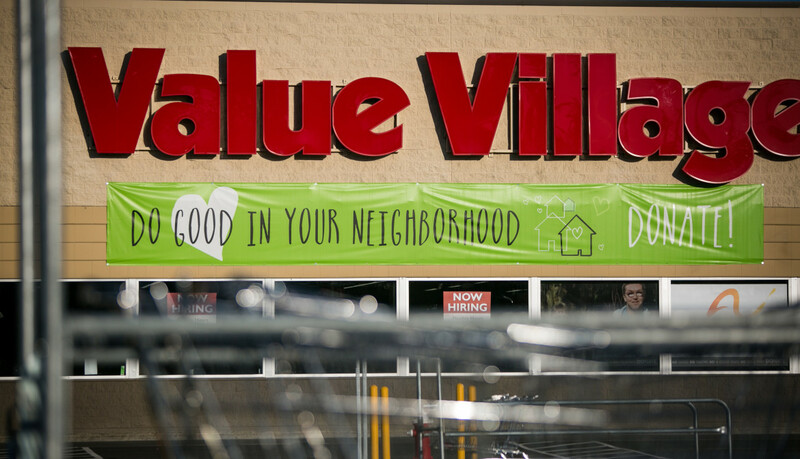 Savers maintained that so long as ads for Value Village didn’t didn’t promise that a specific portion of purchases went to a charity, the company did not fall under the legal definition of a commercial co-venturer. Five years later, after another go-round with Savers on the same point in 2002, the Washington Secretary of State’s office appeared to relent, but it also issued a warning: to be “cautious when representing its charitable relationships to its customers” because “giving customers the impression that purchasing items from Savers will somehow benefit a specified charitable organization, either directly or indirectly,” could require state registration. Some of what Savers told Washington state officials in the course of this exchange strains credulity. Washington Secretary of State officials’ additional attempts in 2010 and 2013 to prompt Savers to register also failed. Finally, in November 2014, the state took a new approach with Savers. Unlike previous letters, this one came from the office of Washington’s head law officer. Assistant Attorney General Sarah Shifley wrote that Washington law defines a commercial fundraiser in part as “any entity that for compensation or other consideration directly or indirectly solicits or receives contributions within this state for or on behalf of any charitable organization.” She demanded Savers register. Within days it did. Attorney General’s Office spokeswoman Alison Dempsey-Hall would not confirm whether Washington officials are currently investigating Savers stores in Washington. Now registered with the state, the true value of Savers’ contribution to charity is only slightly less cloudy. The company reported collecting $10,023,274 in charitable contributions for 2014. Savers also reported that it donated fully 100 percent — $10,023,274 — to charities. “According to the financial information shown at left 100% of the contributions raised by this organization were returned to or retained by the charity client(s),” according to the Secretary of State’s website. What the company appears not to have reported to the state is how much the merchandise donated is worth at the cash register. Without this information, it remains unclear what portion of Value Village’s revenue actually benefits the charities. Rebecca Sherrell, manager of the Charities Program for the Secretary of State, says for-profit fundraisers like Savers are supposed to report total income received and how much goes to the charities. Other charities have wrongly reported 100 percent of net income going to charities, she said, but she said she did not know whether that had happened in Savers’ case. The bottom line: Savers still has not revealed the proportion of its revenue shared with charities, as Washington law envisions for commercial fundraisers. In Minnesota, it took the attorney general’s lawsuit to secure a promise from Savers to disclose that information. Under the settlement, Savers will also file annual reports with the state outlining the value of donations, expenses and payments to charities and certify that donations solicited on behalf of a particular charity actually benefit that charity. InvestigateWest thanks the Fund for Investigative Journalism for its generous support of this reporting project. Francesca Lyman is a Seattle-based investigative journalist and author who writes for magazines and newspapers.